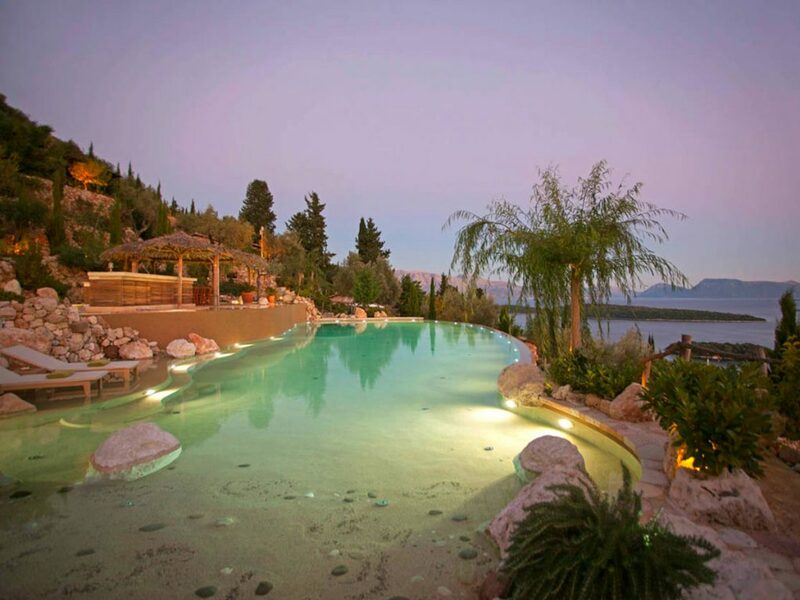 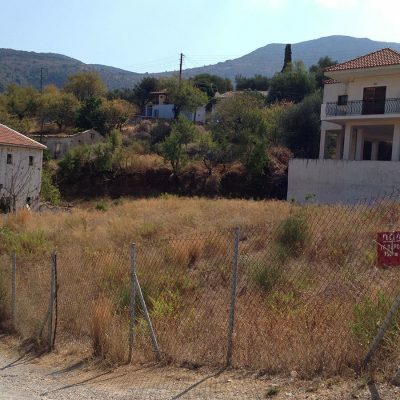 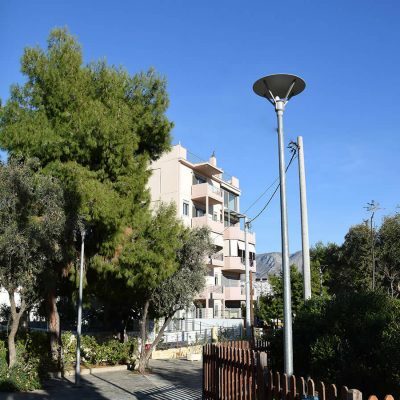 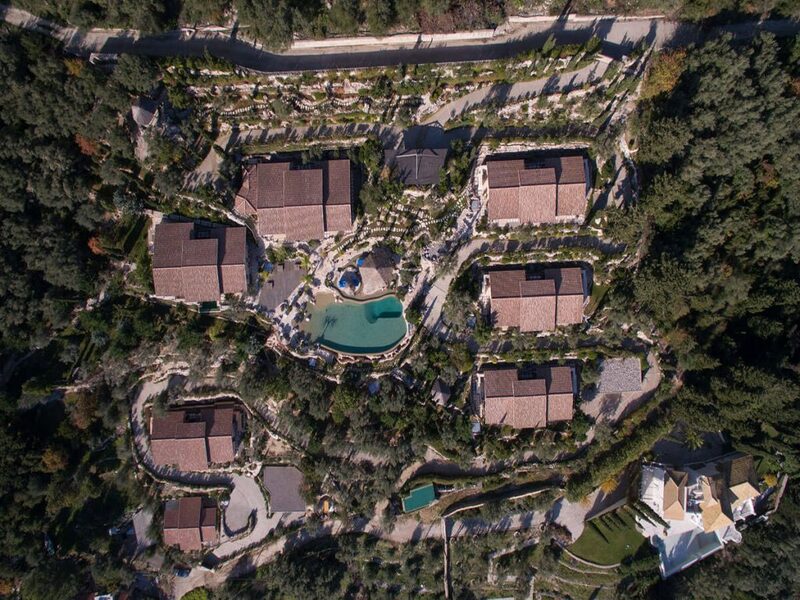 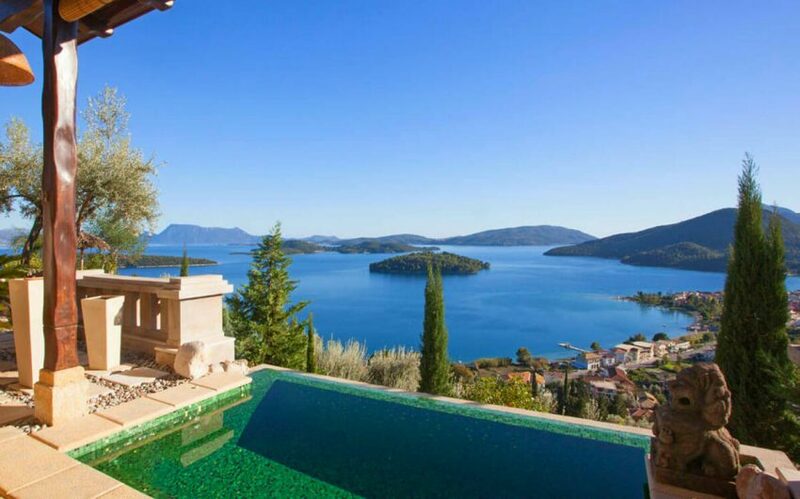 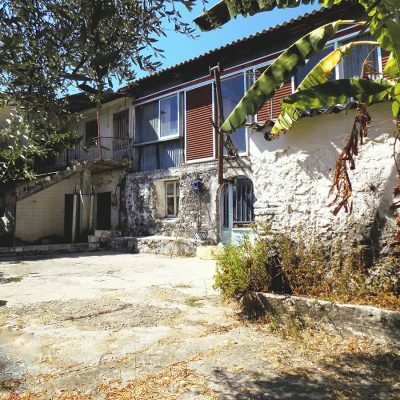 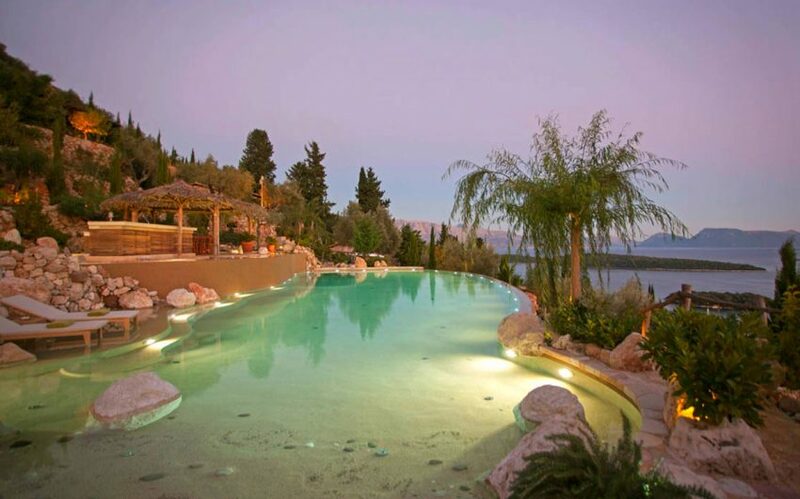 For sale in Perigiali of Lefkada luxurious residential complex. 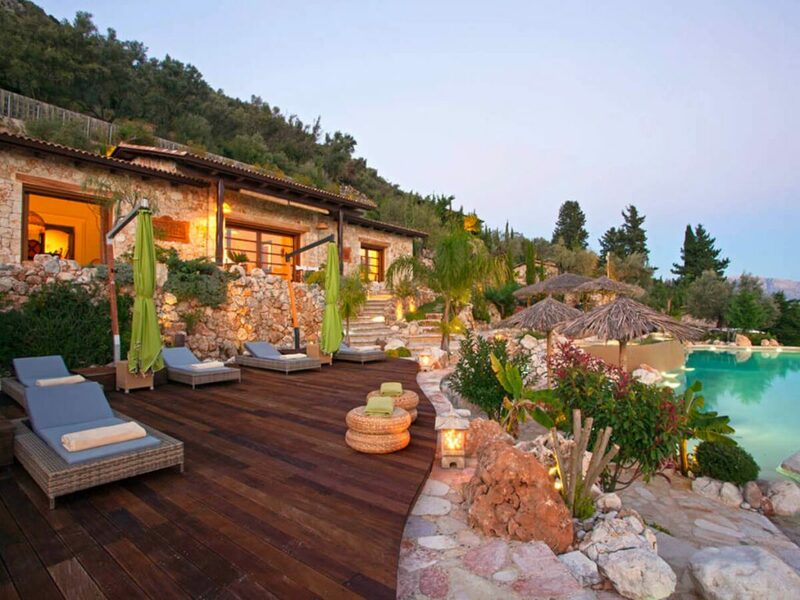 A small paradise on earth. 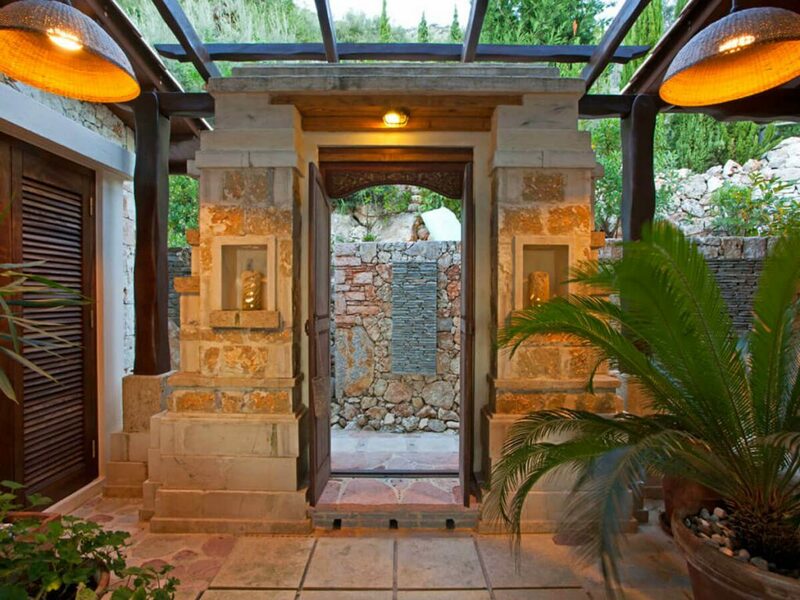 A well kept secret. 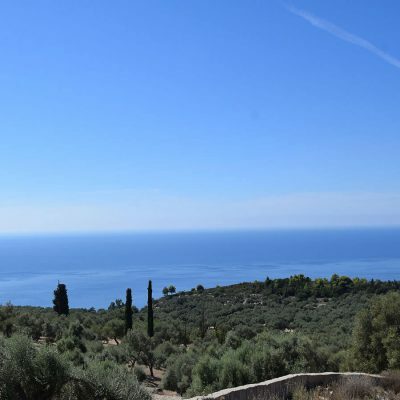 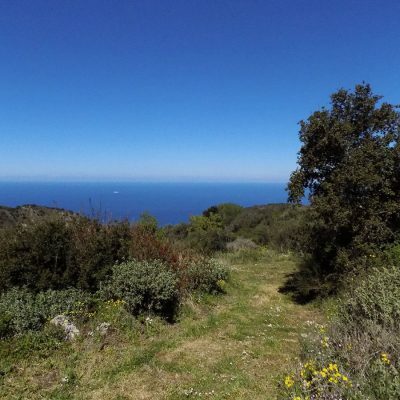 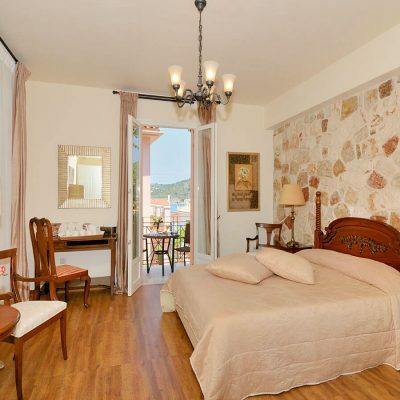 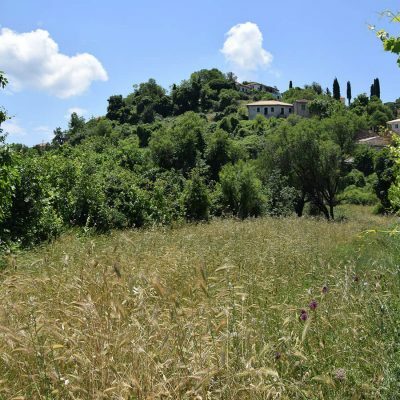 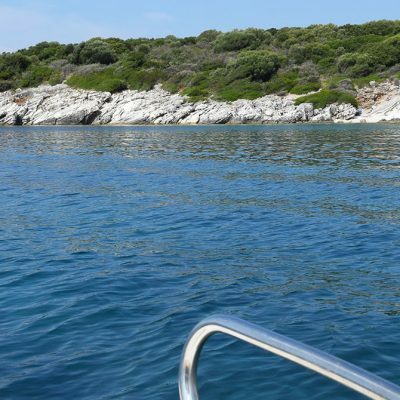 The best property of the Ionian Sea! 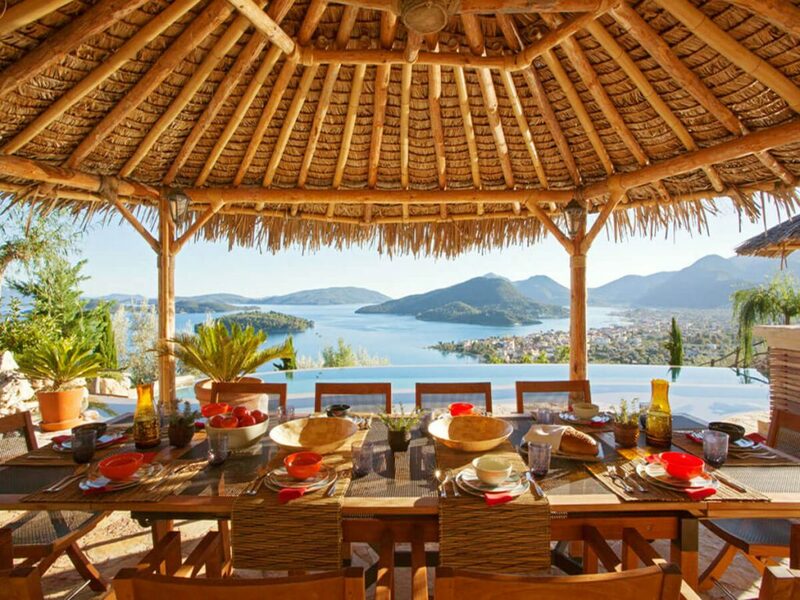 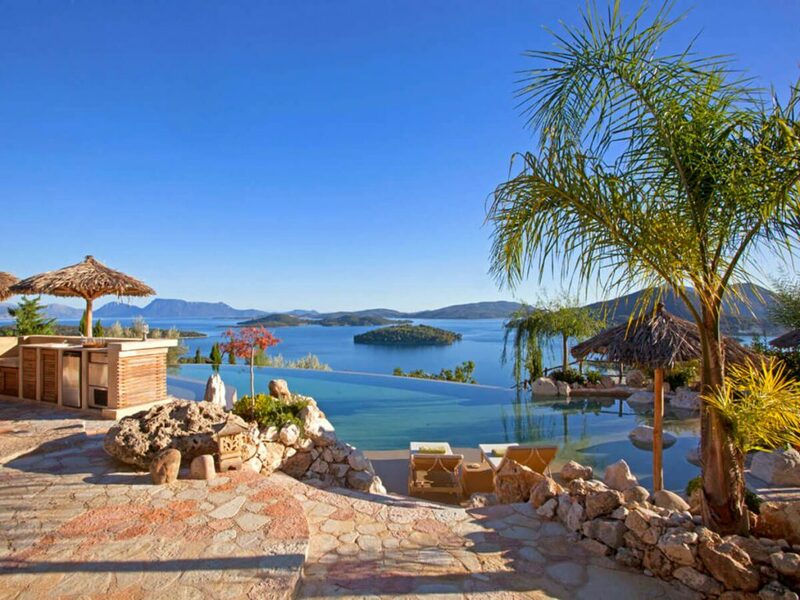 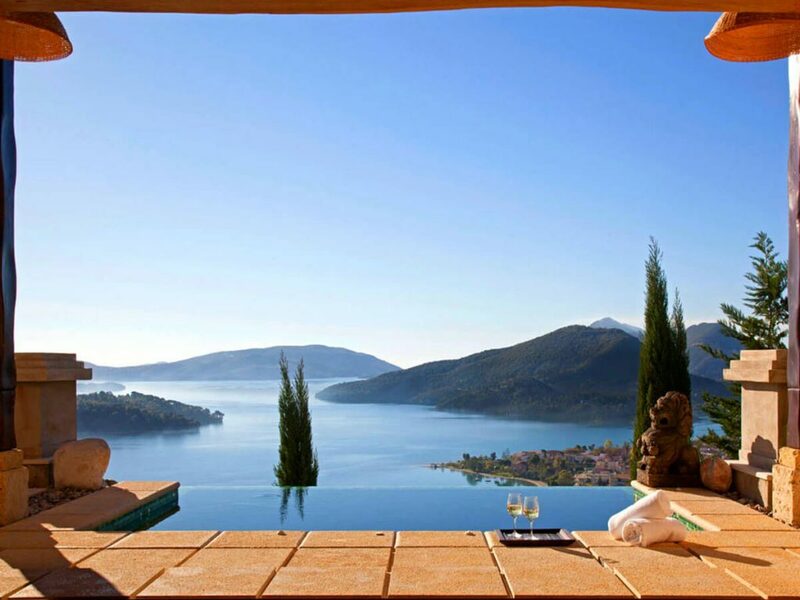 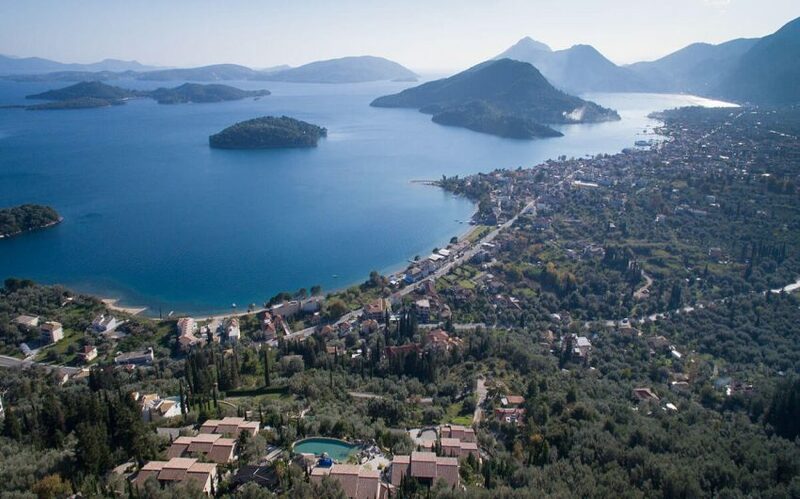 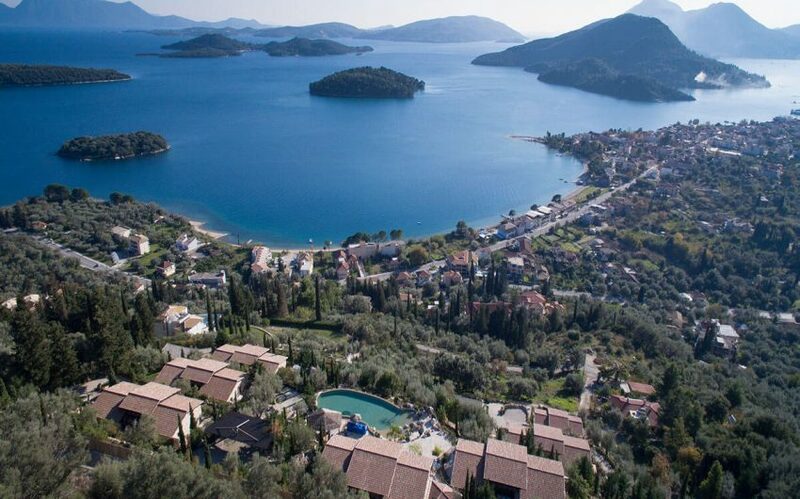 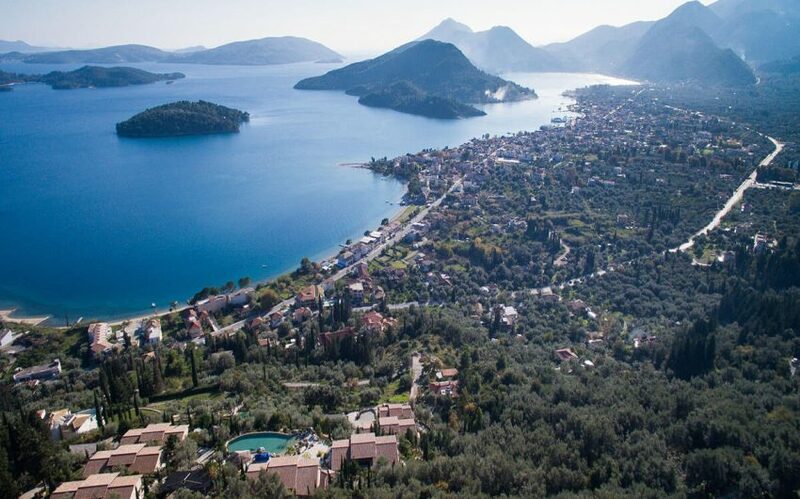 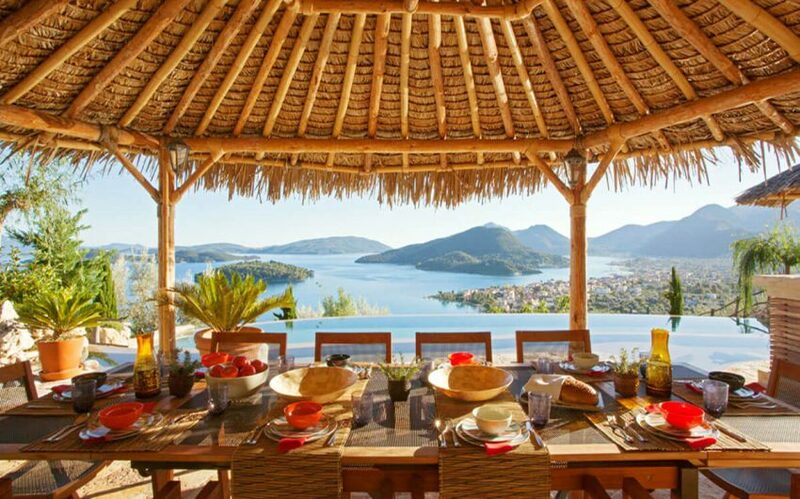 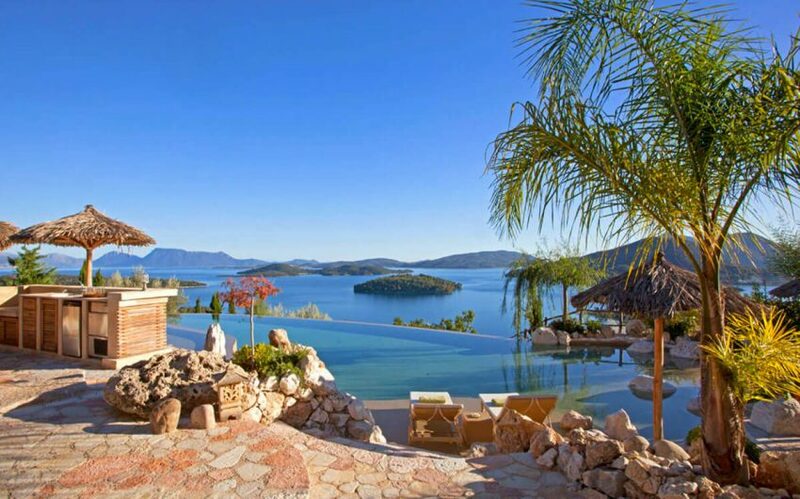 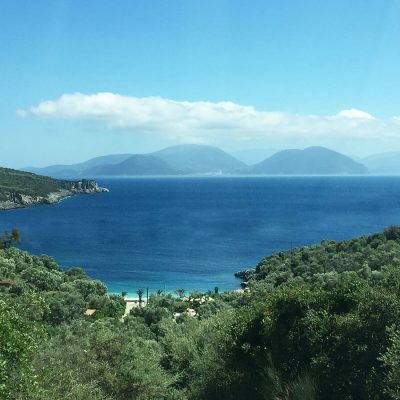 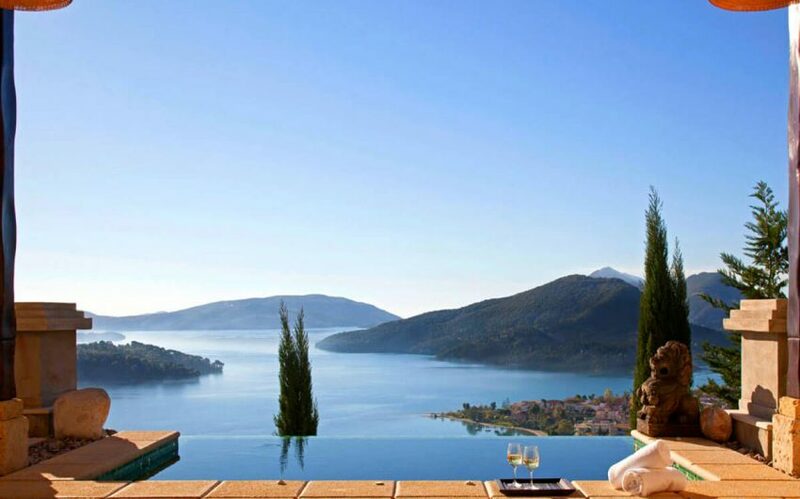 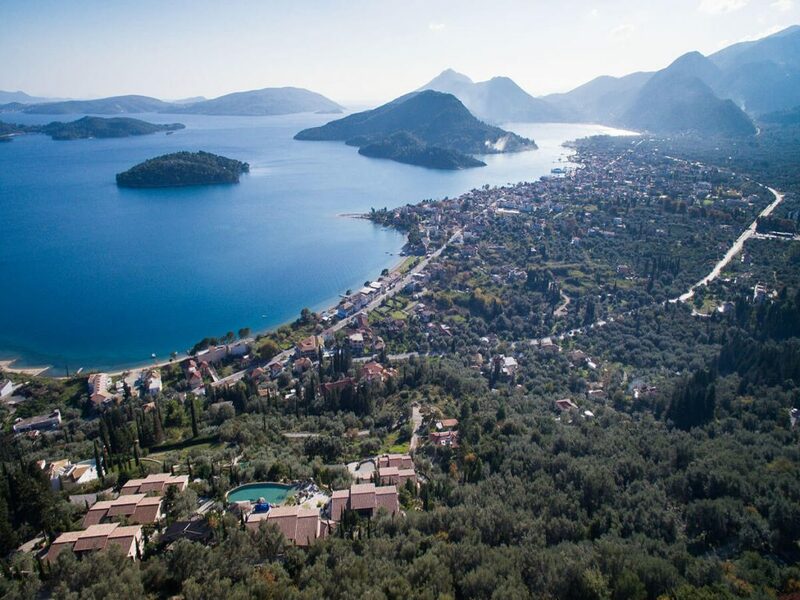 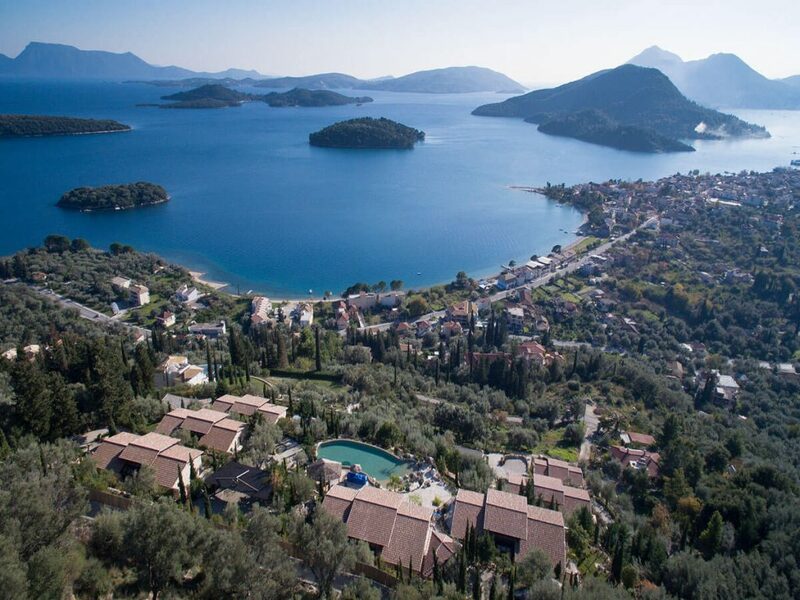 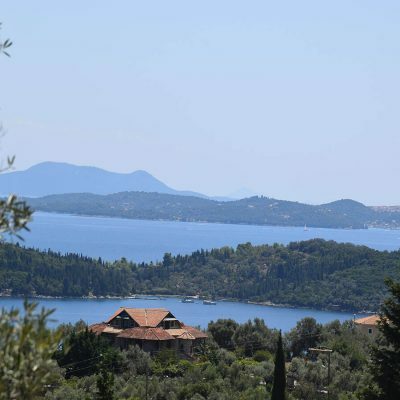 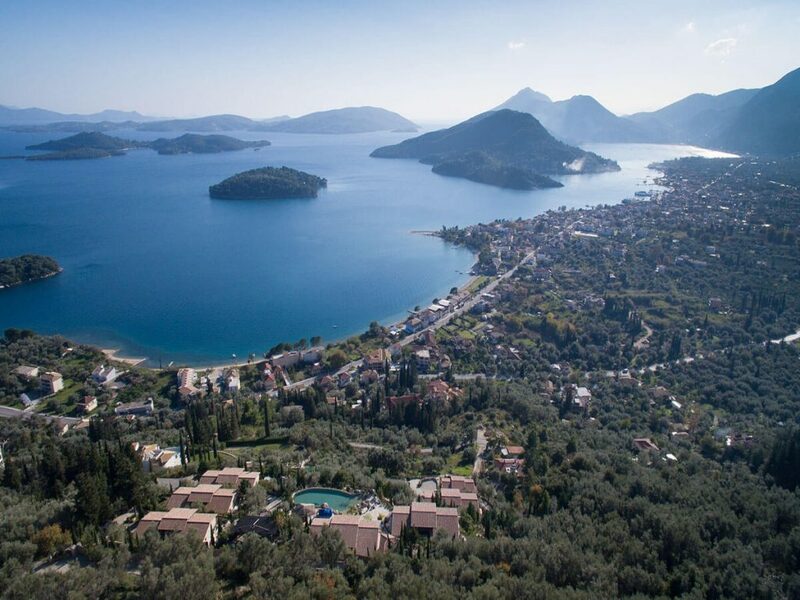 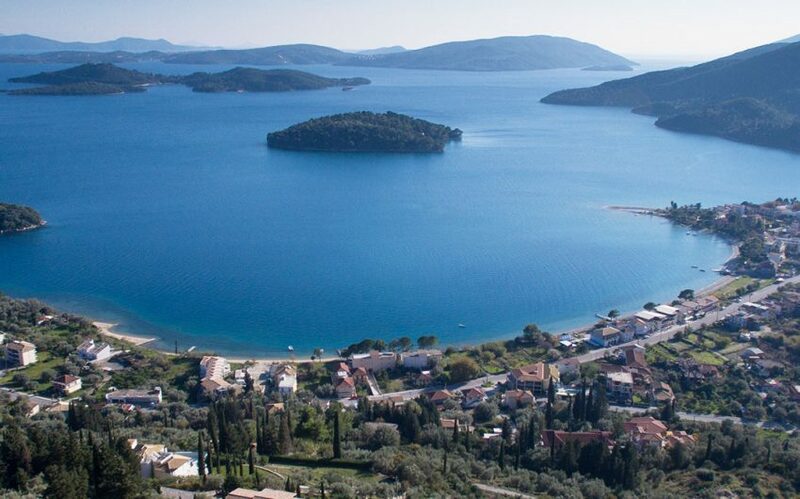 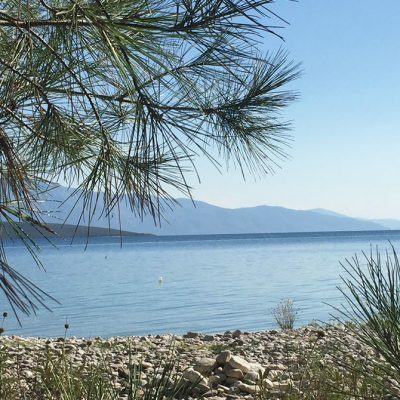 In a hidden location on the island of Lefkada, this exquisite and luxurious residential complex enjoys magnificent view to the Ionian Sea, the Princes Islands Scorpios, Madouri, Meganissi etc. 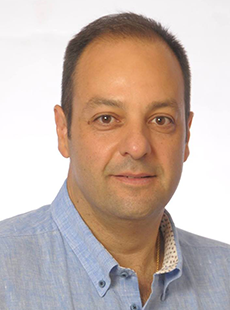 and Nidri. 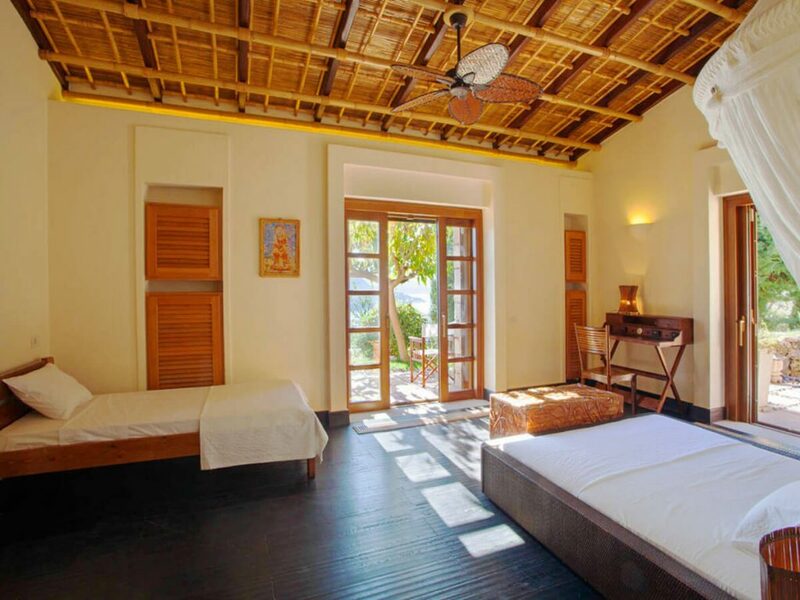 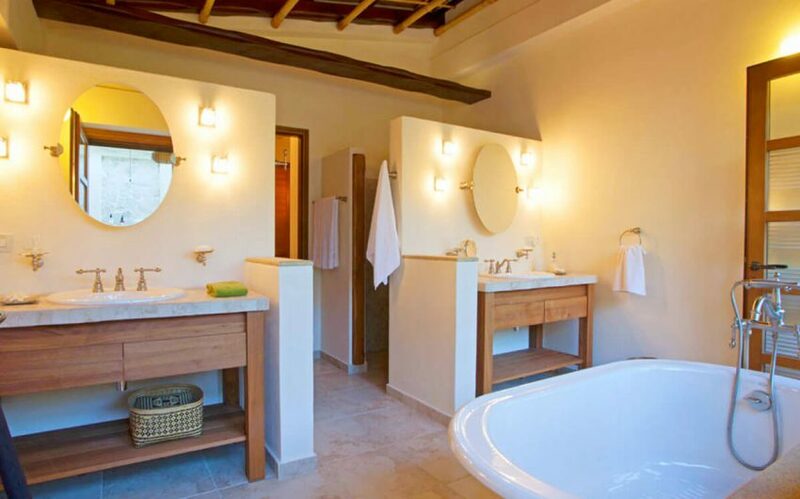 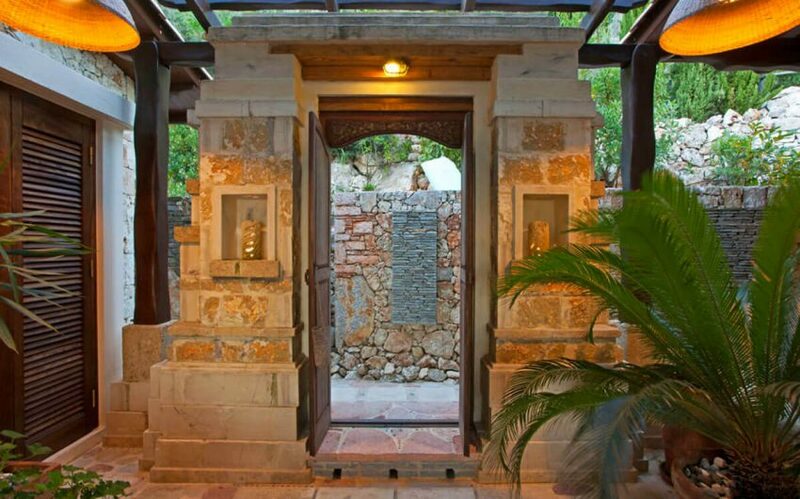 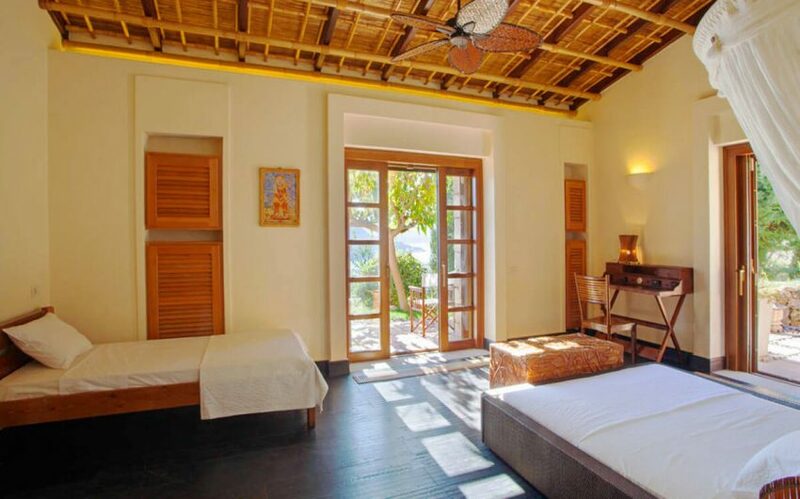 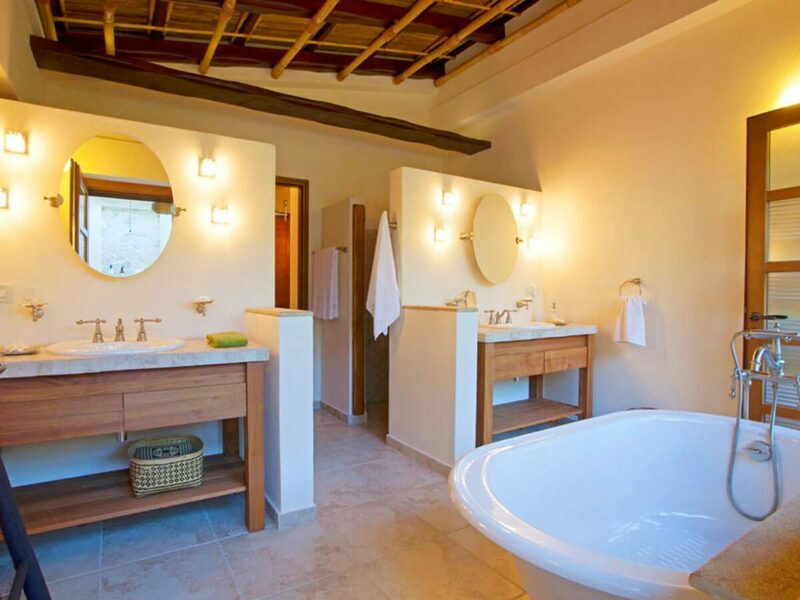 Its innovative architectural structure, has established only one building as the kitchen and dining banquet for all guests, while the main villa and the 4 guest villas feature a comfortable living room with spectacular view between the 2 luxurious master bedrooms. 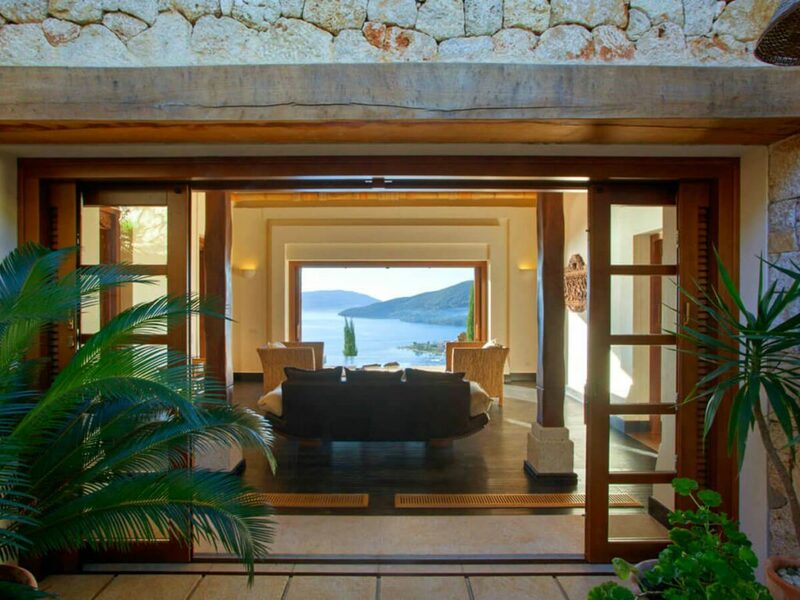 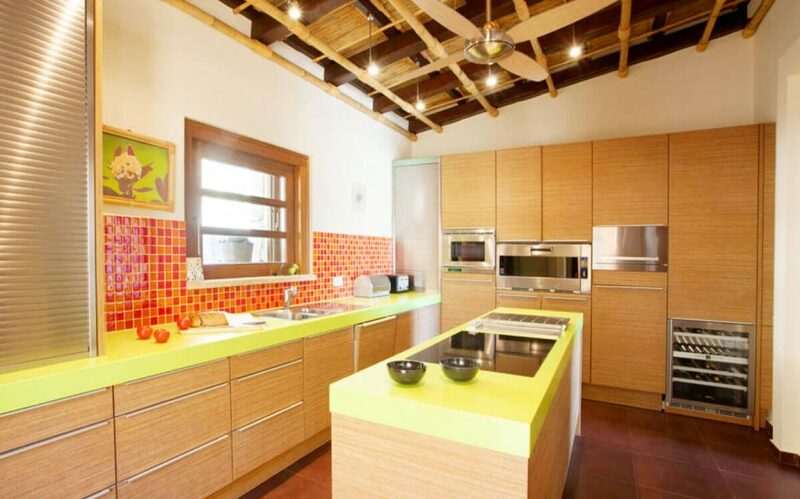 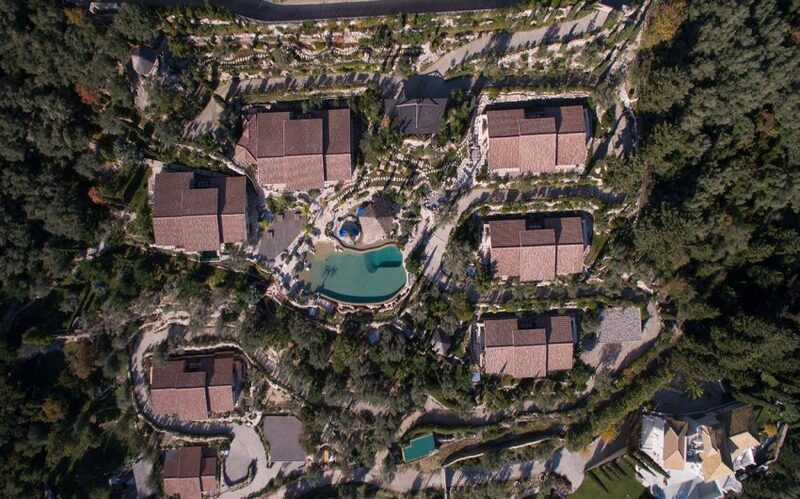 All needs of luxury living have been foreseen and are provided with simplicity and safety. 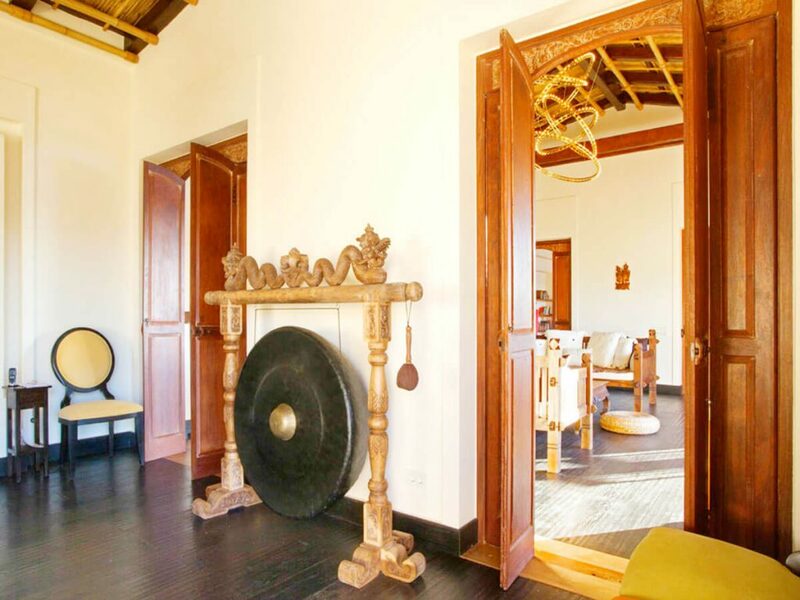 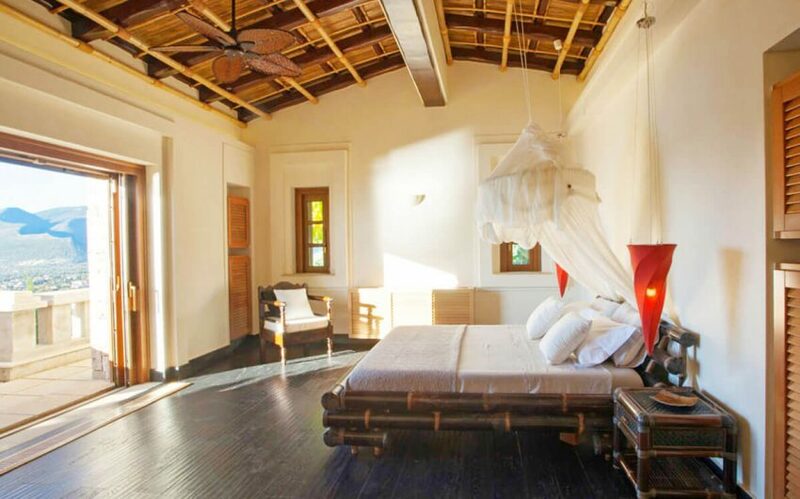 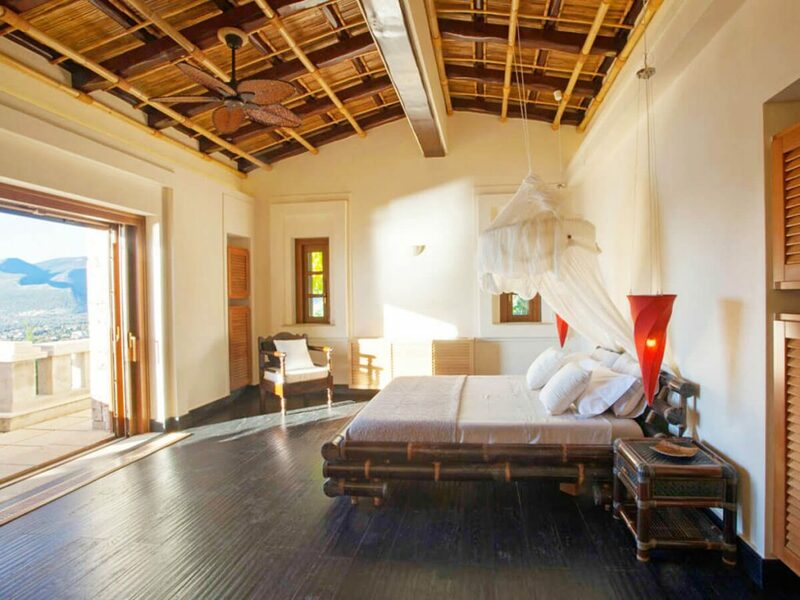 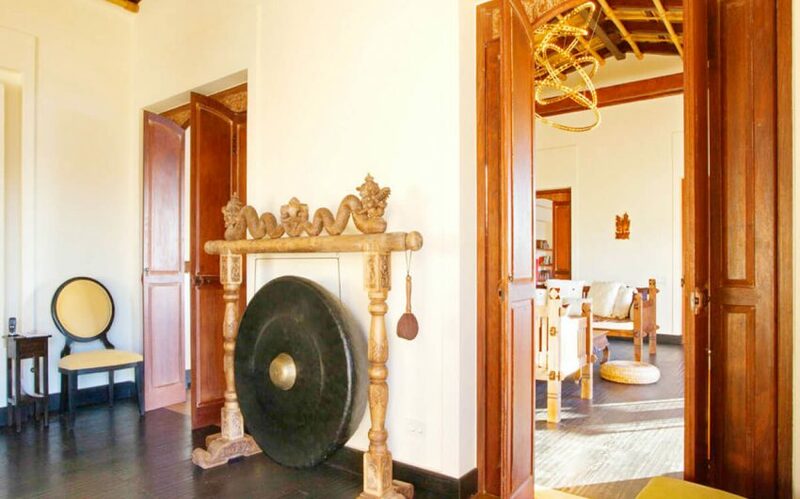 For this magnificent creation, the main raw materials of local traditional architecture, stone and wood, were combined with the aura of the exotic Bali, resulting in this unique space of relaxation and meditation. 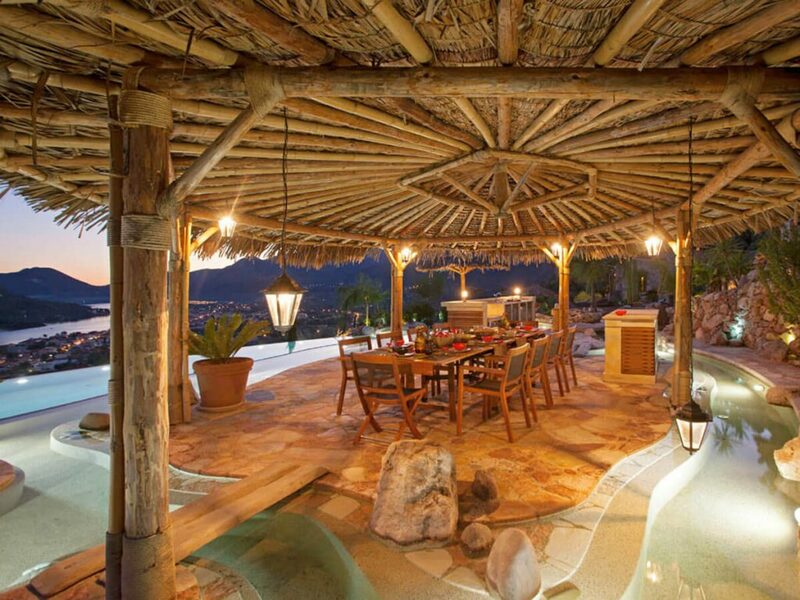 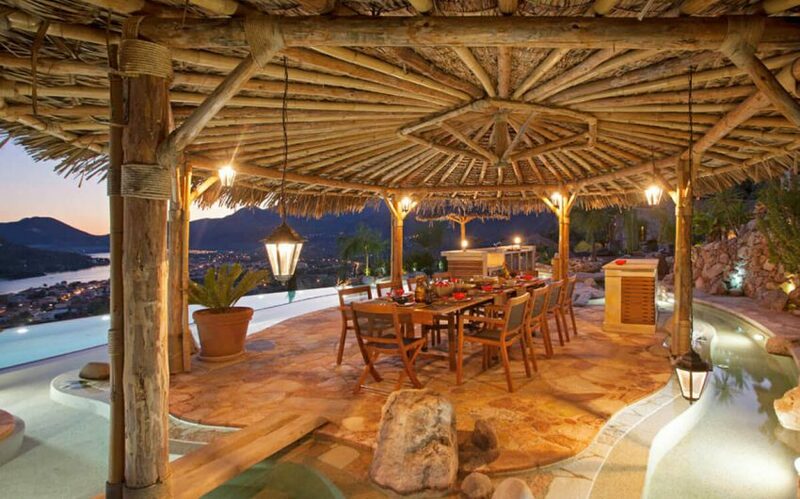 The exotic atmosphere continues to the outdoor area which is fully surrounded by flowers and garden trees. 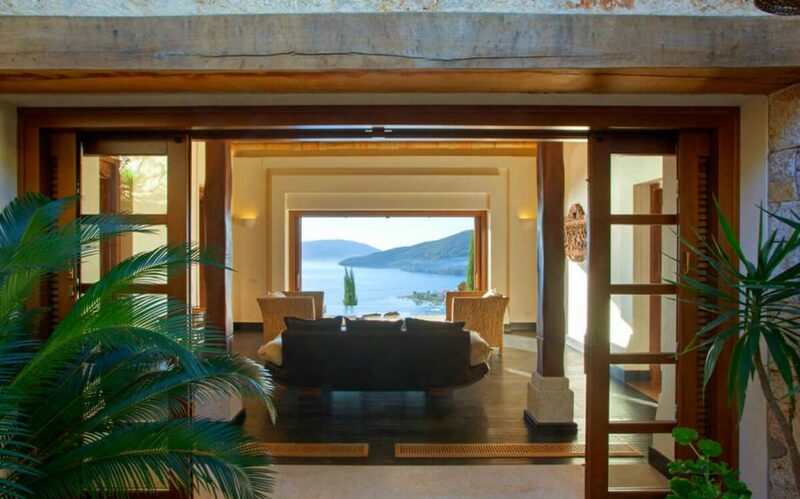 The luxurious pool has been designed with an entrance resembling a beach and enjoys a panoramic view, like a veranda towards the Ionian Sea. 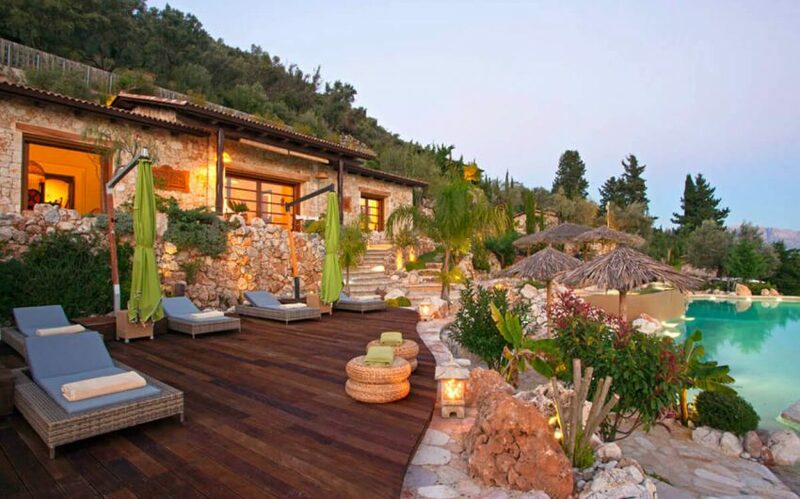 It offers unforgettable moments beside the small rivers, the bar and the outdoor dining area. 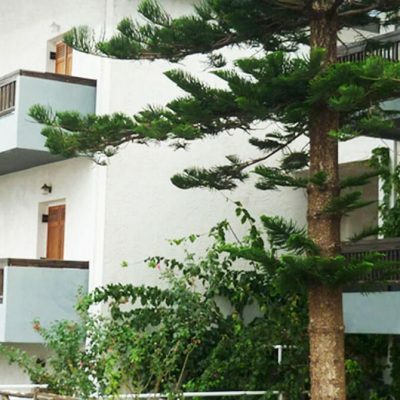 Security and service personnel have its own independent and remote living space and control center, while another independent building is used as a utility building, covering all living needs. 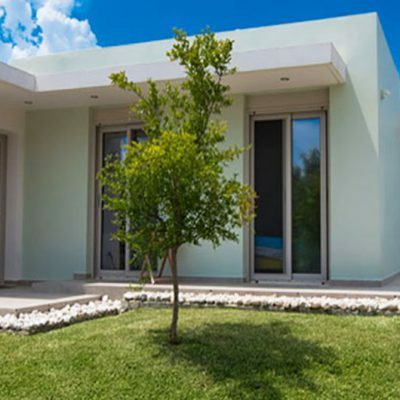 It is an excellent investment property for the highest quality guest V.I.P., when you’re not there for your own personal getaway. 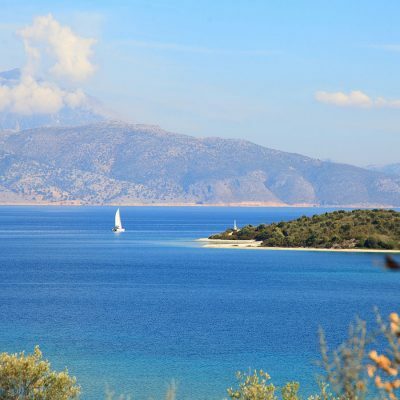 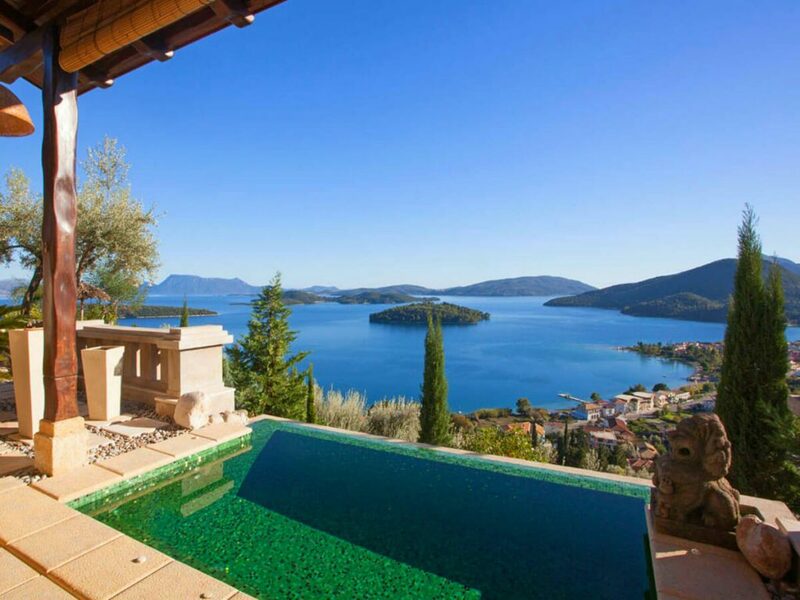 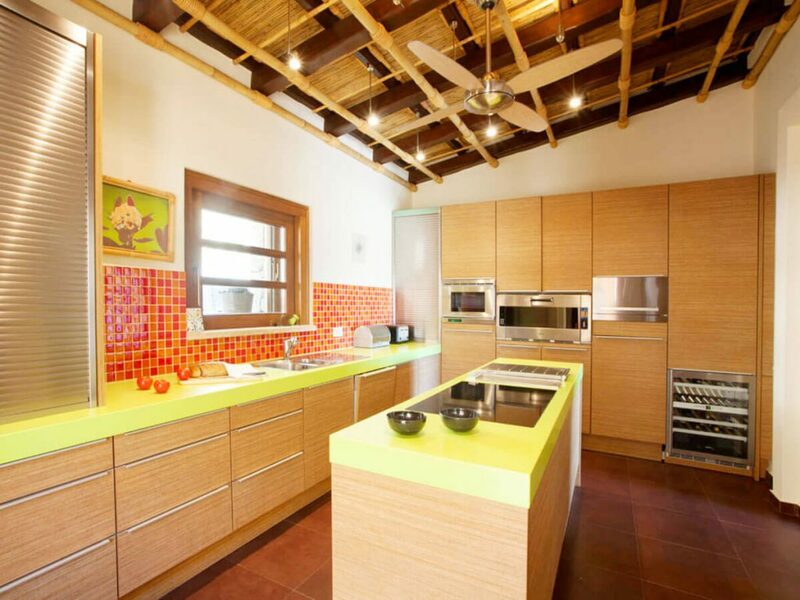 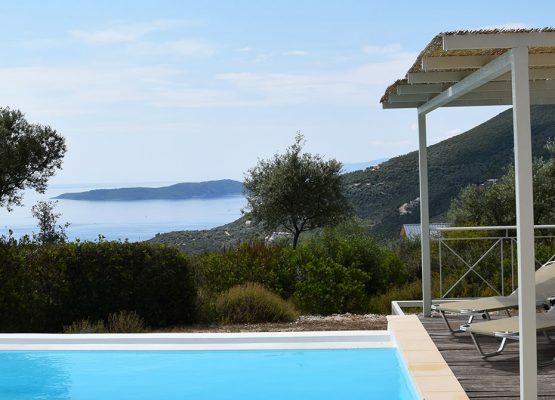 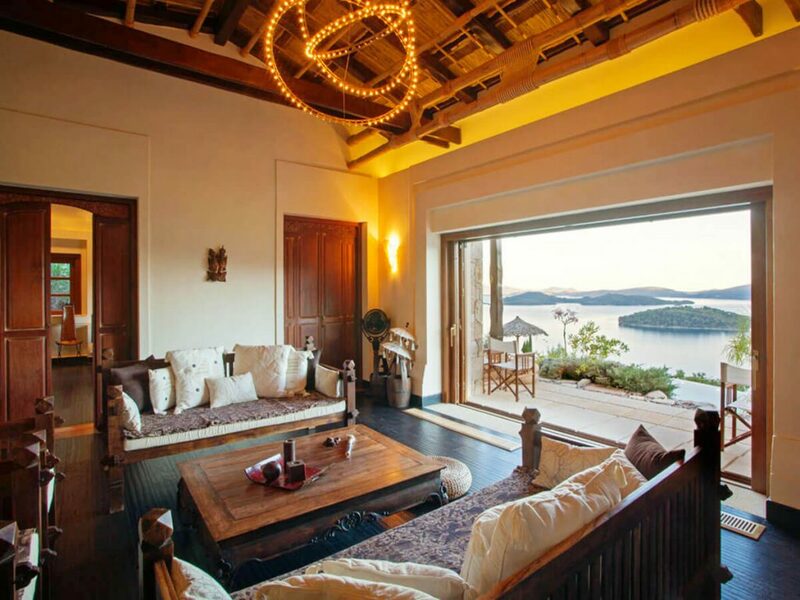 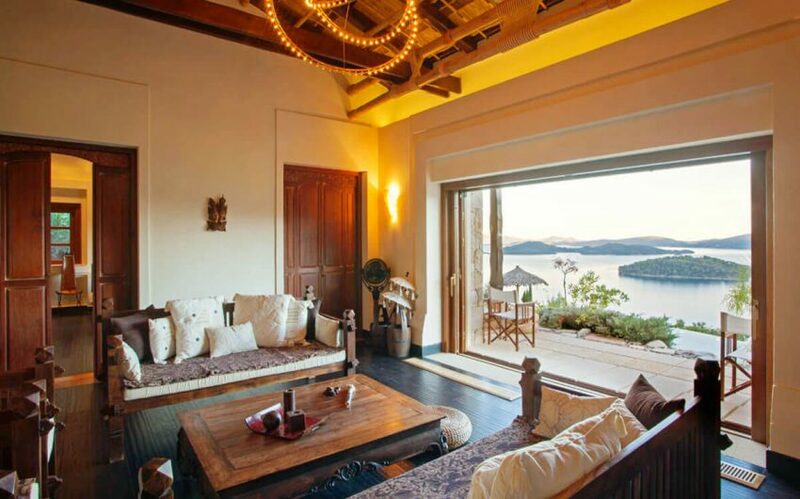 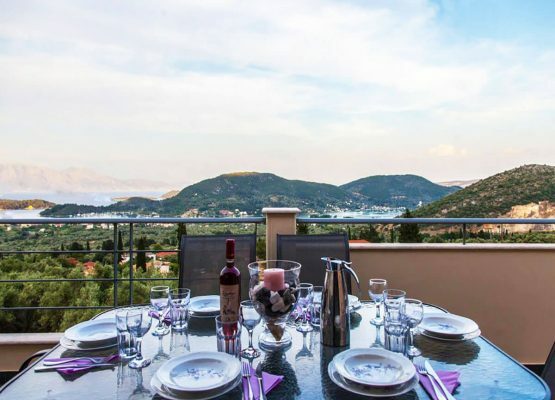 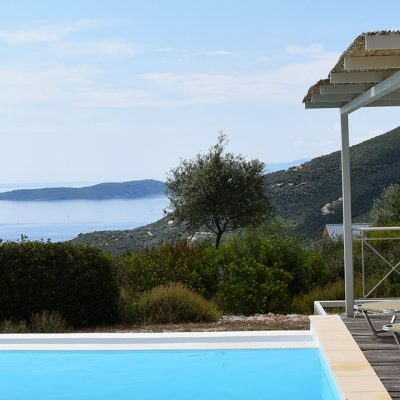 Is perhaps your dream house located in Lefkada?